County Waterford’s name is a derivation from the Old Norse Vedrafjörður being formerly a Viking port. 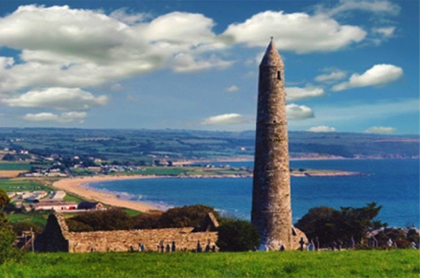 It is part of the South-East Region and is also located in the province of Munster. 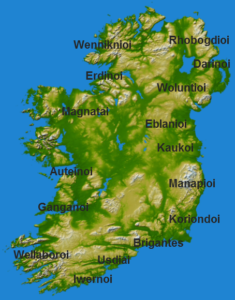 There is an Irish-speaking area, Gaeltacht na nDéise in the south-west of the county. The population of the county at large, including the city, is 113,795 according to the 2011 census. County Waterford has two mountain ranges, the Knockmealdown Mountains and the Comeragh Mountains. The highest point in the county is Knockmealdown, at 794m. It also has many rivers, including Ireland’s third longest river, the River Suir (184 km); and Ireland’s fourth longest river, the Munster Blackwater (168 km). These two rivers and the River Nore are commonly called the sister rivers.